After years of rumors, Crash Bandicoot N. Sane Trilogy is coming in June to PlayStation 4 to bring the famous marsupial back into action. Will it be a PlayStation 4 exclusive, though? There have been conflicting reports on this matter. 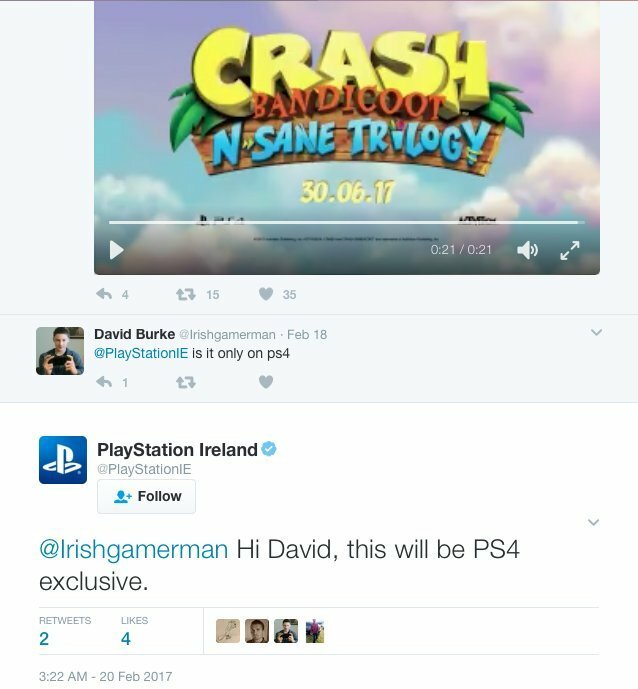 PlayStation Ireland’s Twitter account had mentioned that Crash Bandicoot N. Sane Trilogy would be an exclusive for Sony’s latest home console. However, shortly after that, they rectified such info with wording that suggested a temporary exclusive; the former tweet was also deleted. 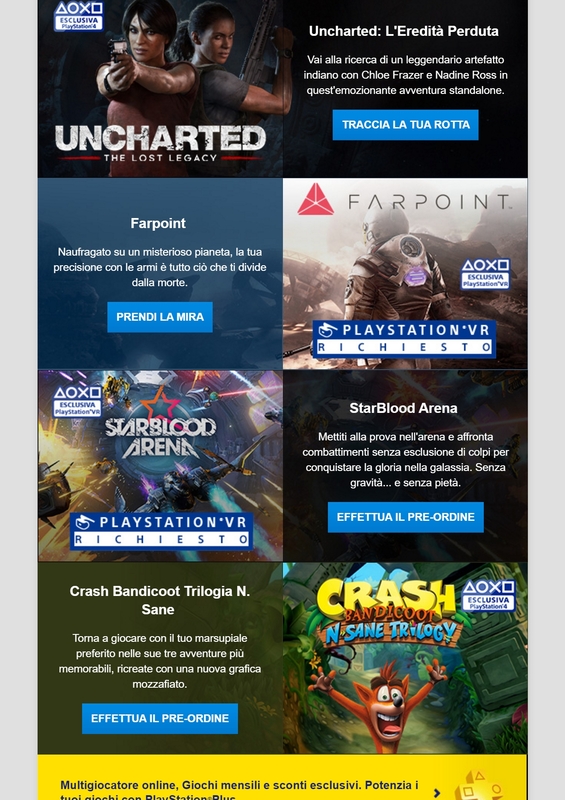 Earlier today, though, Sony sent out a newsletter containing many of the upcoming PlayStation 4 exclusives and Crash Bandicoot N. Sane Trilogy was among them. This is made even more confusing by the fact that an Activision representative passingly mentioned a PC port last month during PAX East. Is it a console exclusive, a full exclusive or just a timed exclusive? Activision will have to clarify that eventually. 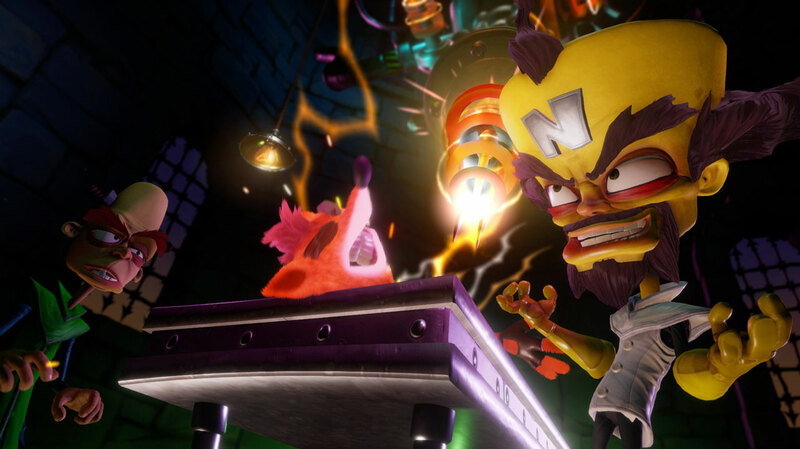 Crash Bandicoot N. Sane Trilogy is a collection of remasters of the first three titles in the series: Crash Bandicoot, Cortex Strike Back and Warped. Originally made by Naughty Dog, this collection of remasters is being developed by Vicarious Visions. Take a look at this new gameplay video captured at 4K@60FPS from PS4 Pro to check how good Crash looks now.